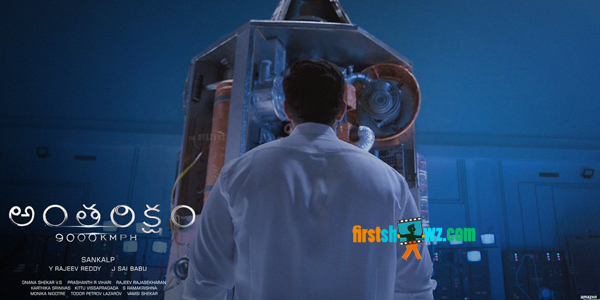 Antariksham 9000 kmph, the first Indian space thriller directed by Sankalp Reddy has raised the curiosity on the movie with the theatrical trailer launch. The audiences are eagerly waiting on how the makers narrate the story with the space backdrop. Antariksham 9000 kmph features Varun Tej in the lead role while Lavanya Tripathi and Aditi Rao Hydari are the female leads. Meanwhile the pre-release event of the movie is planned to be held on December 18 in Hyderabad’s JRC convention while the film is slated for a release on 21st December. Antariksham 9000 kmph is majorly shot in the locales of Bulgaria and Hyderabad. Satya Dev, Raja, Srinivas Avasarala played crucial roles in the movie which is produced by Rajeev Reddy and Sai Babu under the banner First Frame Entertainments. Krish Jagarlamudi is presenting it. Prashanth Vihari composed music for the film.